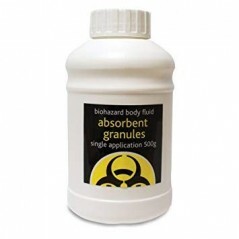 Granules Absorbent fluid turning it into a gel within minutes. Safely absorb body fluid spillages such as blood vomit and urine. 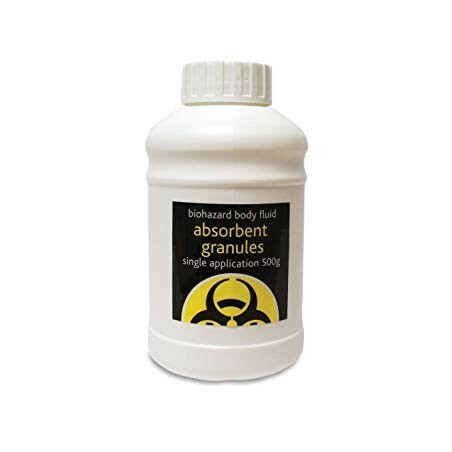 Essential for effective cleaning of body fluid spills. Non-deodorising.